Other language translations are available. "I got tired of playing the same CD over and over again." 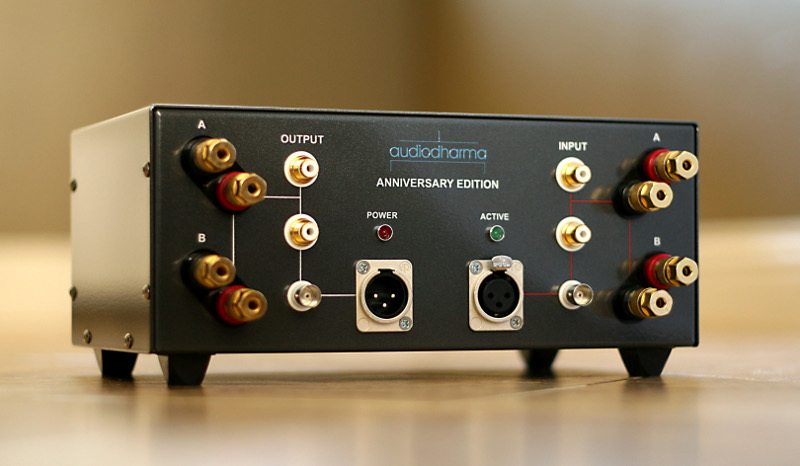 Why do you need the audiodharma Cable Cooker™? Do you want to quit playing the same CD over-and-over? Do you want to hear greater clarity, more nuance and fine detail in the music? Do you want to hear more high-frequency information, together with deeper, more tuneful bass? Do you want to experience a more dimensional soundstage, with greater dynamic content? Do you want to save your N.O.S. tubes from further wear? Do you want to experience your vinyl playback at its very best? Would you like to quit trading cables because of the lack of higher performance? If the answer to any of these questions is YES, then you need the audiodharma Cable Cooker. The Cable Cooker™ is a dream come true for turntable owners... tonearm wires can finally see enough signal level to be broken-in.